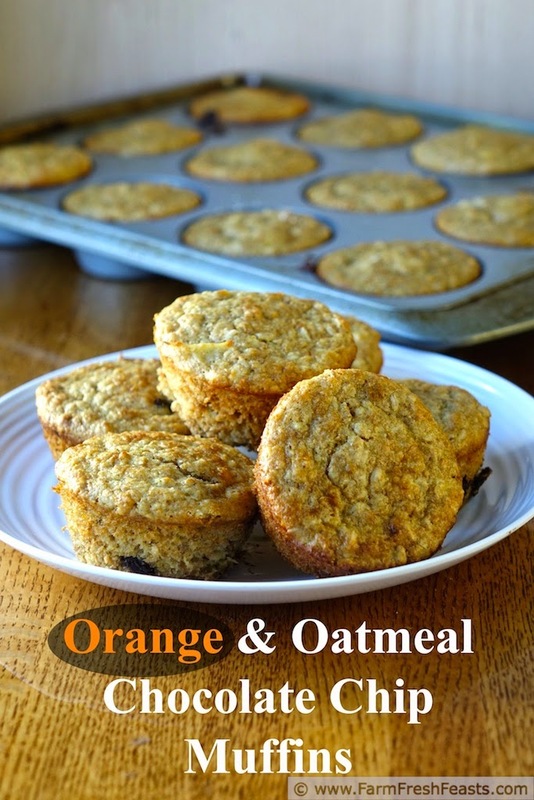 Fresh citrus combined with chocolate chips in a soaked oatmeal whole grain muffin. Do you associate oranges with the holidays? Now that I've got kids in activities I associate oranges with fundraisers, which in my experience result in cases of citrus appearing in my house between Thanksgiving and Christmas. [Do you know how messy it is to deliver a case of fruit in a wheelchair when the sidewalks are slushy? I do, and it's as messy as you'd imagine.] We're luckier than Almanzo, however, and can enjoy fresh citrus year round. I admit that once we've eaten the Band Fruit Fundraiser order that arrives next weekend, I'll have had my fill of citrus for many months. 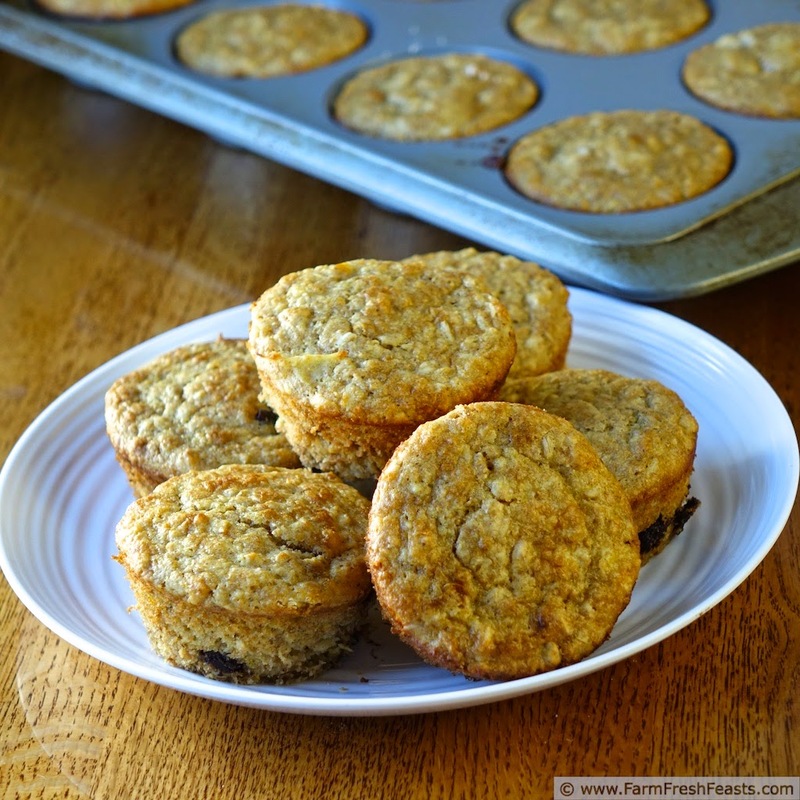 These muffins came about after my success with Orange Oatmeal Secret Ingredient Chocolate Chip Cookies. I wanted to combine those flavors into a muffin. I had tangelos on hand, but oranges or tangerines will all work here. 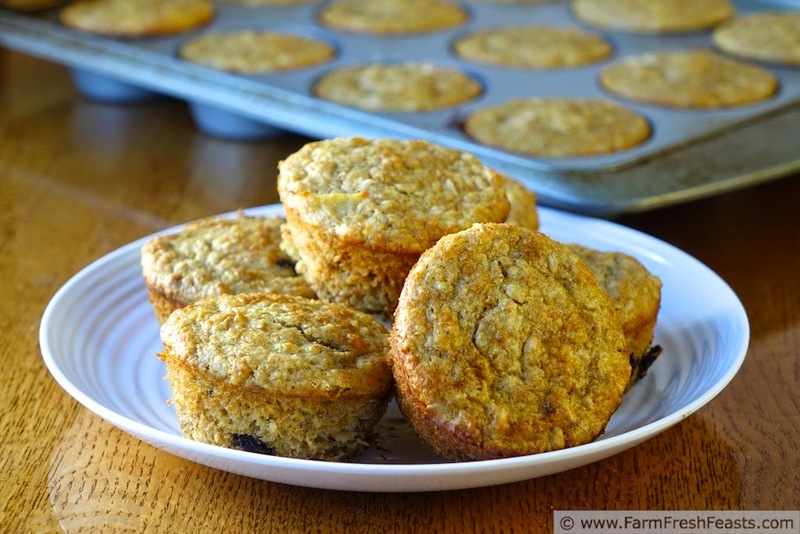 Remember when making a soaked oat muffin to start them at least an hour in advance (or up to 5 days, if you'd care to refrigerate the buttermilk/oat combo. If you'd like other orange recipes, including last year's round up of 156 Recipes featuring Fall and Winter Fruits, please see my Orange Recipes Collection, part of my Visual Recipe Index. 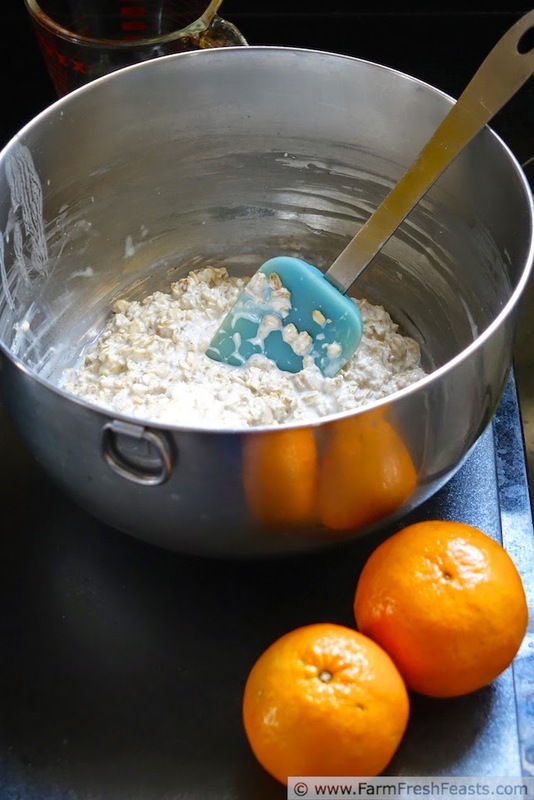 Combine oats and buttermilk in a large bowl and set aside for at least an hour (or combine in a lidded container and refrigerate for up to 5 days). When you're ready to bake, preheat oven to 400 degrees Fahrenheit and spray a 12 hole muffin tin with oil spray or line with paper liners. 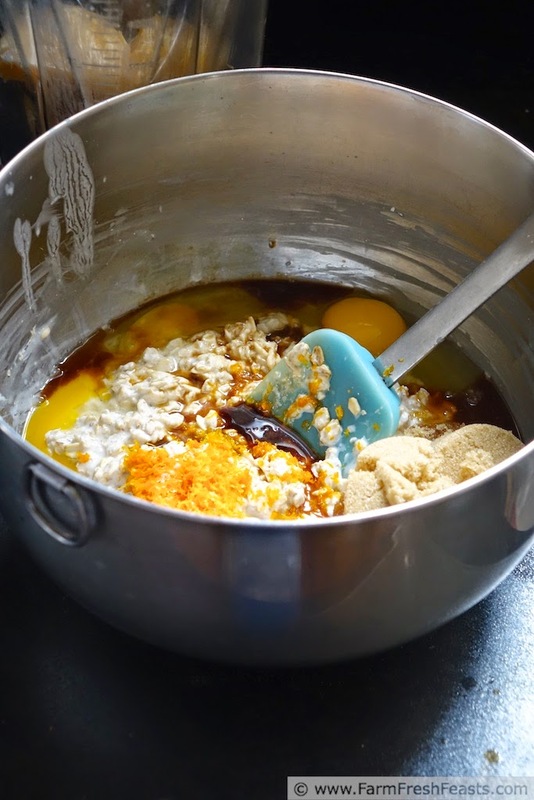 Add the rest of the wet ingredients (egg though tangelo) to the oats and thoroughly combine. Dump dry (flour through salt) ingredients on top of wet mixture and gently combine, adding the chocolate chips towards the end of mixing. 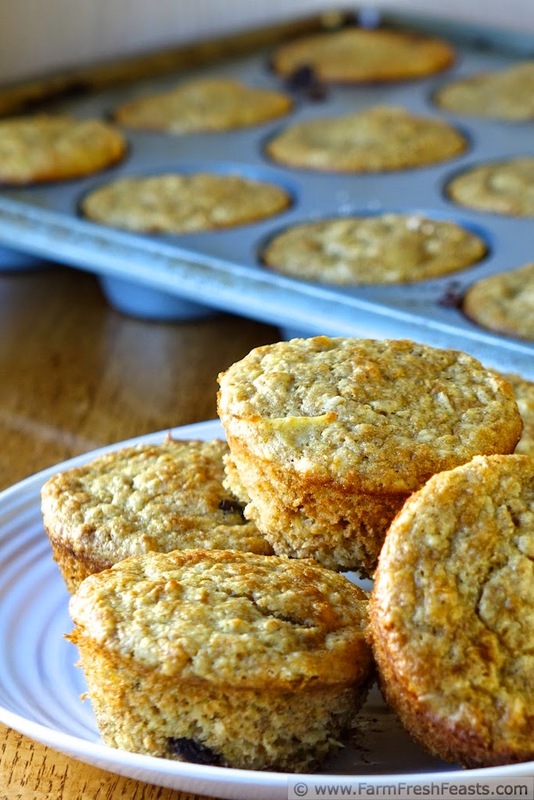 Scoop** into a prepared muffin pan and bake for 16 to 18 minutes, until light brown. Cool for 5 minutes in the pan, then transfer to a rack to finish cooling. Good warm or cold. Muffin season is upon us, which makes me happy since it's gives me another reason to bust out my glorious muffin pan. Go Polish Pottery. We get an orange every year in our stockings. It's tradition now. Still, I remain envious of your Polish Pottery muffin pan. I'd probably break it if I had one, but I'd love to take the photos. I wonder if I can cram mini muffins into my Polish Pottery deviled egg plate for photos?